Sometimes you need to edit your blogger template. Before do any change to the blogger theme, you must backup it first. Don't forget to do it, if you don't like to loose all customization did to the theme. Read the instruction below to backup a blogger template. 1.Log in to your Blogger account. 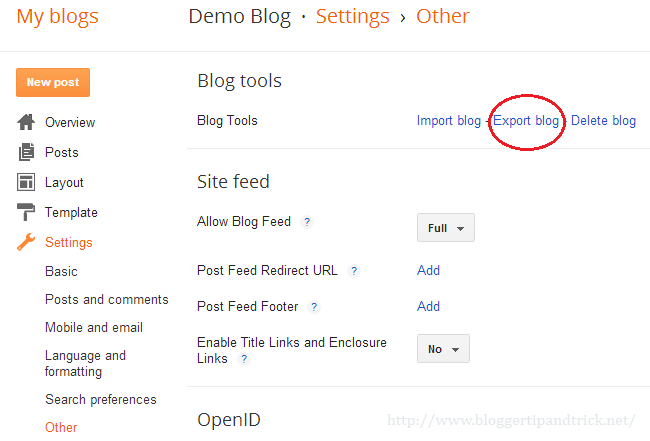 2.Go to Settings › Other of your blogger blog. Now save your blogger template to the hard disk.